BCLC started out as an idea, a simple spark of ingenuity blossomed into a multi-billion dollar company. Founded in 1987 the company has progressively served its customers for 31 years providing modern gambling techniques for British Columbians. 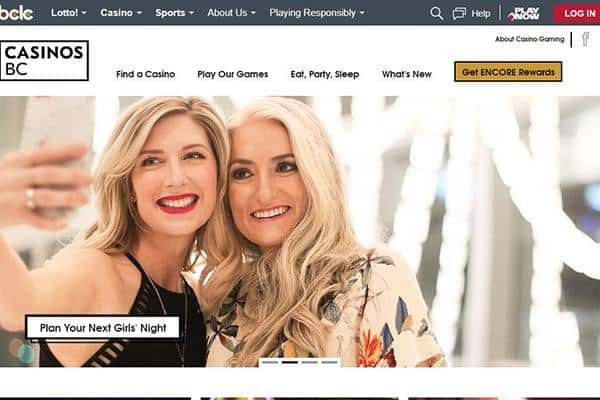 Subject to British Columbia laws, the company’s mission is to carry out its gambling activities in a way that doesn’t affect the core social values of British Columbians. The core value of BCLC is building trust with the public by living up to their corporate social responsibilities. Through concerted efforts, the company has been able to treat their staff fairly while placing the interests of their players first. Over the years, BCLC has integrated itself into the lifestyle of British Columbians, and the company has become a household favorite. The company has given British Columbians premium quality entertainment while providing corporate funding to communities and rewarding jobs. BCLC offers gamers Lottery, Bingo, Casino and Online gambling under the provincial authority of British Columbia. Across British Columbia, a total of $695 M in prizes was won by eGaming and Lottery players in 2016/17. All Payouts were made in a clean and transparent manner, which highlights the company’s core principle of adhering strictly to its mission of providing equal, fair and uncompromised gambling opportunities to all users across its platforms. BCLC has up to 17 Casinos (15 casinos and 2 at racetracks), 6 Bingo Halls, and 19 community gaming centers. In British Columbia, the company has some of the best facilities in Canada. The operational capacity of the Casinos is handled by BCLC, and this is done under close supervision of the host community’ local government. The host local government receives 10% tax from the income generated by the company in their community. 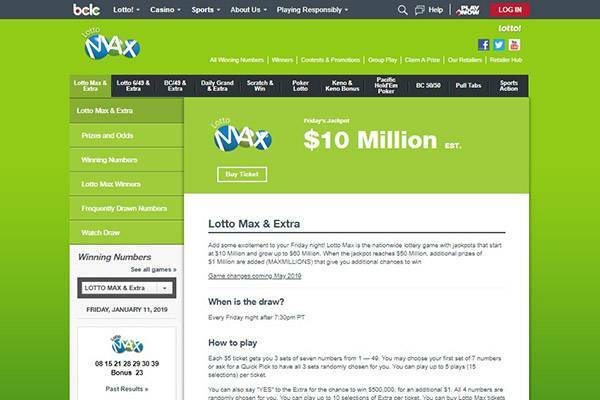 The company offers national games such as LOTTO MAX, Lotto 6/49 and DAILY GRAND, provincial games such as BC 49, Poker Lotto, BC 50/50 and Extra, a full suite of Scratch & Win and Pull Tab games. They also offer quick play games – Keno and Pacific Hold’Em Poker to a variety of customers. Over 4000 retailers are responsible for dispensing the company’s lottery game franchise across the provinces of British Columbia. The site’s interface is very unique. 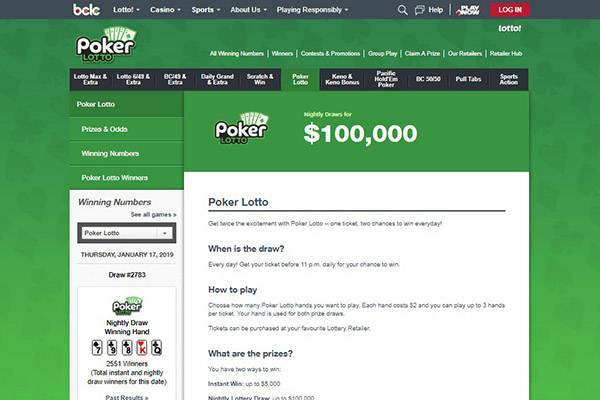 The Games offered by BCLC are uniquely displayed under the MENU BAR embedded within the Lotto Menu display button. This makes the site information seemingly easy to navigate by professionals and amateurs of the gambling franchise. 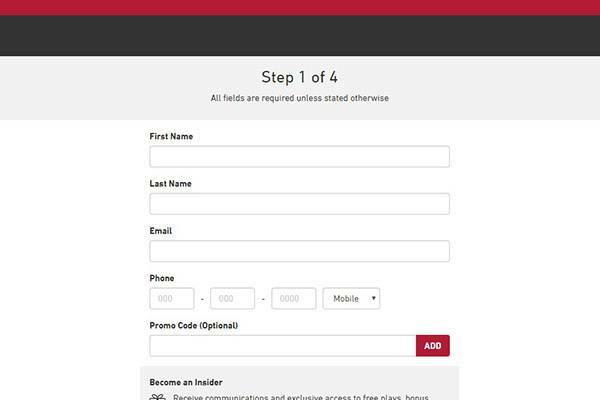 BCLC has made provision for mobile users to navigate the mobile app seamlessly. Users can download the app from the IOS and Android Play Stores. The app can be used to scan winning tickets, scan scratch & win tickets, check official BCLC results, monitor the progress of staked games, and acquire information on jackpot amounts. The mobile application is highly interactive, but for now, there is no provision for players to purchase ticket in-app. Ticket purchase can be made on Playnow. BCLC does not offer any discounts however, it runs several monthly promotions for players as a way to give back to the community. BCLC accepts deposits made in US dollars. Lottery Retailers are required to make prize claim payments of up to $200. They are also required to make payments up to $2000. However, most retailers due to security risks don’t keep such a lump sum of money in-house. The best option for gamers is to utilize Casino’s and CGCs as they often enough cash to cover prize claims of $200 to $2000. These locations make prize claim payments up to $9,999.99. However before any prize can be claimed at an RPP location, a valid Government identity card must be provided. Failure to present a valid card means forfeiture of prize claim since it can’t be processed without a Government ID. 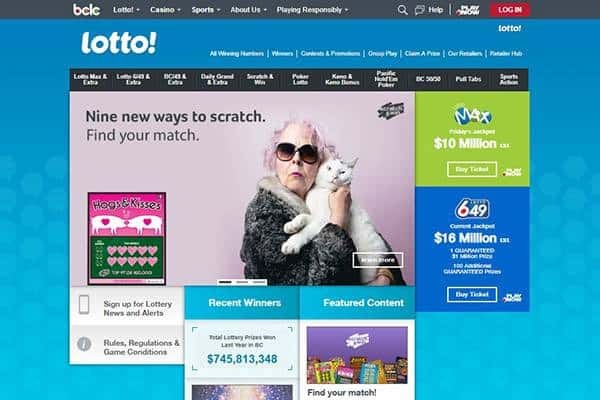 BCLC Lotto has a dedicated help page – FAQ – that provides answers to questions on how to claim prizes, how to buy tickets, how to check tickets, how to change debit cards and a host of others. At the core of the values of BCLC is ensuring the transparency of dealings within the site. Security is high on the list of BCLC giving users the assurance that their information and game data won’t be tampered with. BCLC provides gamers with a Privacy charter that seeks to enlighten gamers on what their personal information will be used for. Game play online is usually encrypted over a secure connection, leaving little room for hackers to penetrate or steal your information. BCLC has more positive review rating than negative ones. The negative reviews are because playnow.com offers only two lotteries, the Canadian national games of Lotto Max and 649. On a scale of 1 to 5, we rate The National Lottery 4.3 Ceteris paribus. BCLC has been running for over three decades now, and its sense of community and enriching lives has benefited members of its host community. Local governments are able to oversee the gaming affairs and collect 10% tax from BCLC’s income revenue. These Monies are then reintroduced into the host community for education projects and lots more. Since its inception in 1985, the company has grown astronomically in British Columbia and is forecasted to keep growing for decades to come. 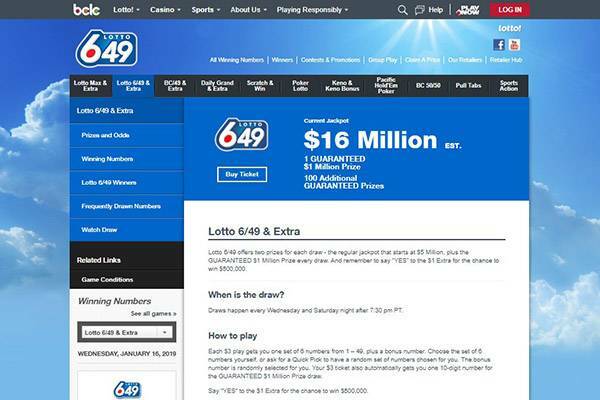 We recommend BCLC Lotto to residents in British Columbia.